This Post has already been read 360 times. 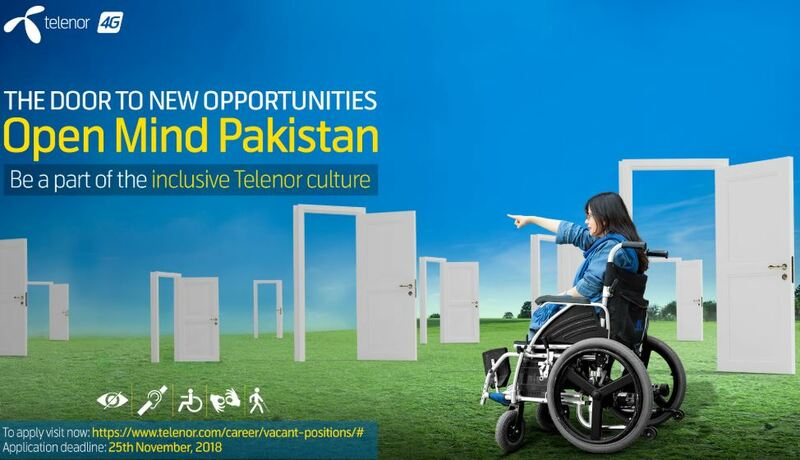 Telenor Pakistan has announced call for entries for its sixth batch of Open Mind Pakistan, a comprehensive, one-of-a-kind trainee program aimed at enhancing employability of Persons with Disabilities (PwDs) through skill development, mentoring and on-job training. Under Open Mind Pakistan, so far 73 trainees have graduated and 32 have been hired in various organizations nationwide. This one-of-a-kind skill development program has a list of success stories including Romella Hameed who secured a job in Sydney, Australia; Zain Ahmed Malik who is serving in Pakistan Merchant Navy as an electrical engineer and Wamiq Hasan & Abdul Qadir who are running a successful startup ‘DeafTawk’ recognized by the Institute of Engineering &Technology (IET) and National Incubation Center(NIC).